I use my system for a mix of gaming and productivity. I play many types of games from AAA titles to MMOs and MOBAs. I also use Adobe CC and many other professional editing software. This computer originally started with an AMD 8350 FX and has since been upgraded to the current parts listed here. I bought the InWin 303 to replace my systems original case. The original case was a Corsair 750D. It was starting to look stale on my desk so I opted to revamp my setup and migrate my system into something new. This is a challenging case to build in when compared to more open cases like a Corsair 750D or Phantek Evolv. It requires some foresight. I planned on installing my Silverstone TD02 on the back side of the attic vent rather then the front as InWin designers had intended. The reason for this is a cleaner aethstetic with a 240mm radiator. In order to install the TD02 Rad on the back side of the Attic some modifications were necessary to pass the CPU water block from the back side to the front to mount to the CPU. I used a 4" grinder with cut off wheel to cut the attic floor open roughly 3/4" more then the original opening to fit the TD02 water block through. Doing this mod is not for the faint of heart. I wouldn't recommend doing it unless you are comfortable with power tools and don't mind cutting into your newly purchased case. The motherboard I/O shield is a bit strange when installed on the InWin 303. It only snaps in from the two sides. This allows it to move vertically. You'll have to make sure it lines up properly when installing your board. Installing the three 120mm fans in the bottom can also require some foresight if you are using a full size ATX motherboard. You'll need to install the Motherboard first, then run and install all your front I/O connectors before installing any fans in the bottom. Once your I/O is hooked up you'll notice it's an incredibly tight fit for the fans in front of the Motherboard. If your motherboard only has one USB 3.0 connector and it's at the bottom of the board, you will either not be able to use the USB 3.0 or you will not be able to install a fan where the connector is. Luckily my board has a second USB 3.0 connector near the 24pin plug. If you have a Micro or ITX board, bottom fan instillation will work wonderfully with no issues. The back side of the InWin303 Lacks the cable management I'm use to with my Corsair. 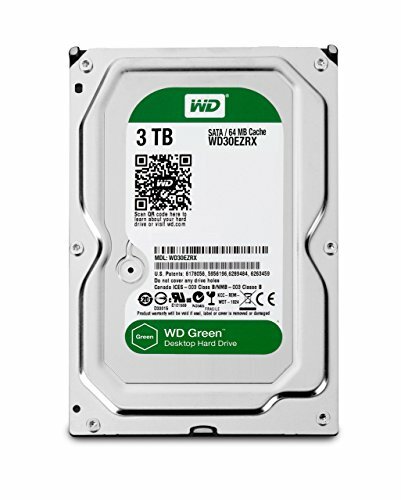 It doesn't have many tie down points and all of your management has to be thought out beforehand, especially if you are using both 3.5" HDD bays. Once my build was complete I started the tedious task of overclocking and stress testing. I decided to stick with a more mild overclock on the 5820K as it's already ridiculously fast out of the box. It's currently running stable at 4.2Ghz with a mild boost to voltage. It never once passed 60C under full load with a 1 hour stress test. The Gigabyte G1 GTX970 already comes with a mild overclock out of the box. I left it at stock speeds when it was in my previous build. Seeing how the new case provides substantially better GPU cooling with 3 120MM fans directly under the card, it seemed only natural to up the ante a bit. I cranked the core clock 175Mhz and the memory clock 350Mhz. This provided an increase in FPS and overall benchmark scores while staying under 65C under full load. I could probably go higher on both the CPU and GPU overclocks. For me, the current speeds are more then adequate to suit my needs though. Overall I'm incredibly happy with how the migration turned out. In conclusion: if you are looking for a challenge for your next build and want something simplistic, powerful and elegant I highly recommend this setup. 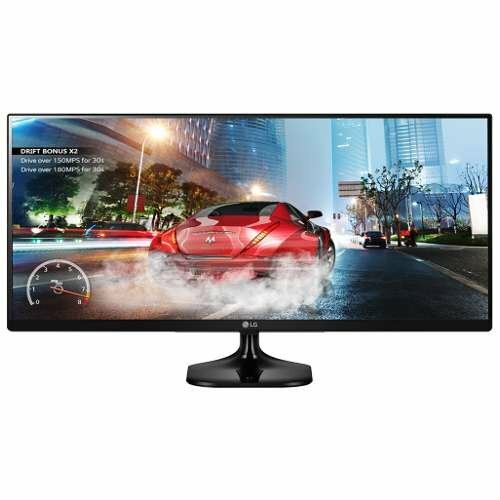 If you want to go X99 but don't want to hurt your wallet, this is easily the best choice. 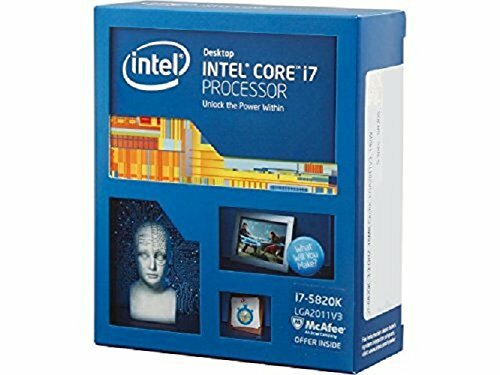 Powerful, reliable and easy to overclock. 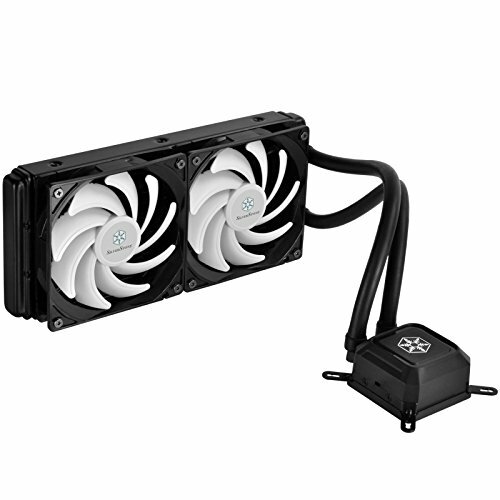 I picked this AIO cooler when it was on sale for $65. The fans are a bit loud at full speed but I with my current setup they rarely exceed 50% speed. They also move a boat load of air. The CPU block lights up blue in the center, although it is very dim and almost unnoticeable. I've had this cooler for exactly 1 year now and it's preformed flawlessly as intended. Currently keeping CPU temps under 60C at full load. I've had this drive for 3 years now as my primary storage for Media. It's cheap, reliable and saves on energy. Hopefully it will continue to bring me more years of reliable storage with no issues. I would only recommend using this as a storage drive as it's rather slow with only 5400RPM speed. I'm currently using this drive as a work drive. It does a decent job and I've had no lose of data. It isn't SSD though. I'm hoping to upgrade my system to either 1TB SSD or 2 500GB SSD in Raid to finally ditch spinning hard drives as my daily driver. My first impressions with the InWin 303 were jaw dropping. It's a shockingly beautiful case. I have watched plenty of video reviews on many different cases with tempered glass and never realized just how little justice a camera does for them. The Tempered panel makes everything look so sharp and clear. It adds depth and reflection that you just can't get with Acrylic windows. That being said, there was some minor imperfections with my InWin 303. The inside was not evenly painted and there is missing spots where the finish looks dull or untouched from paint. This wasn't enough to send the case back as it's barely noticeable with the panel off and impossible to notice with the panel on. I'll call it a minor annoyance if anything. I've had this PSU now for almost 4 years. It's never skipped a beat. I do wish however that I would have spent little bit more and went with the fully modular version. Absolutely love my BlackWidow. The Razor software is kinda awful though. I've noticed it's been getting better as time passes. The build quality of the keyboard itself is great. I've been using it for roughly a year now with zero issues. 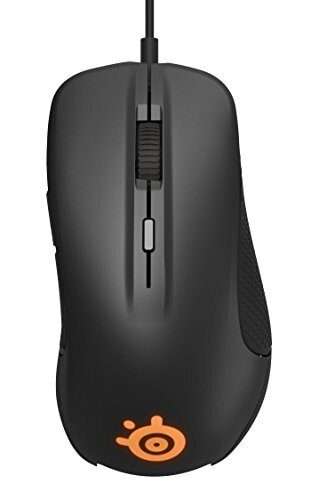 Great mouse for FPS games. Also very comfortable for day to day use. 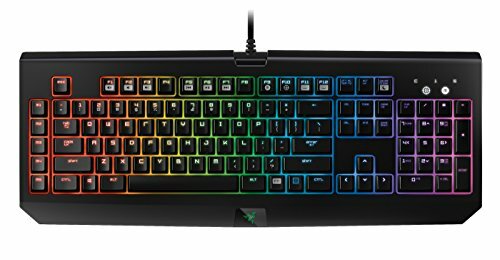 Software is easy to use and allows you to change RGB colors and program buttons. It also offers the ability to 3D print your own tag for the back of the mouse near your palm. 1+! i like that case because of the good gpu cooling! Do you happen to have any additional pictures of the AIO alterations? I'm planning to move my build into this case which would involve this same process (as it is the Corsair 110GTX: 140mm fans). You can faintly see what I did on the pic of the backside with the silverstone Rad installed. I took a 4" cut off wheel on a grinder and cut the side closest to where you mount the fans towards where you mount the PSU roughtly 3/4" to 1" or 2CM. After cutting I was able to grab the metal with a pair of Vice Grips and pry it upward until the water block was able to fit through. It's going to vary on how much you'll need to cut or pry based off the overall size of the waterblock. It's possible the Corsair AIO waterblock may be thicker or thinner. If you want a perfect clean cut you can also use a dremal with a cut off disc. It may take more time but will be cleaner if you want to simply cut the hole larger without prying the metal. I opted not to use the Dremal because I couldn't find any cut off wheels and nobody will see the backside anyway. Hopefully this helps. I wish you luck and happy modding! I'll probably get to it with the Dremel....It's either that or spend another $100 for a H100v2. Either way, I hope to keep it as clean looking as yours! 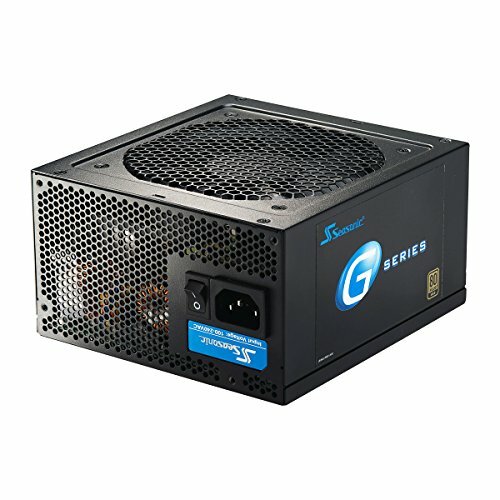 Do you have all 6 corsair LED fans connected to the phantec hub? I was wondering if it would be able to handle all 6 fans since they draw a **** ton of power. Yes, they are all connected to the fan hub. they usually spin at 600RPMs and usually never faster then 1000RPMs so the voltage draw is minimal. What fan hub are you using? why buy 3000 RAM when ur CPU cant use more than 2133?? !